September, 1939. 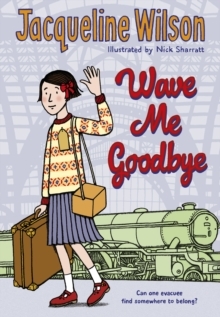 As the Second World War begins, ten-year-old Shirley is sent away on a train with her schoolmates. She doesn't know where she's going, or what's going to happen to her when she gets there. All she has been told is that she's going on `a little holiday'. Shirley is billeted in the country, with two boys from East End London, Kevin and Archie - and their experiences living in the strange, half-empty Red House, with the mysterious and reclusive Mrs Waverley, will change their lives for ever. Award-winning, bestselling and beloved author Jacqueline Wilson turns to this period of history for the first time, in this beautiful, moving story of friendship and bravery against the backdrop of the worst conflict the world has ever known.